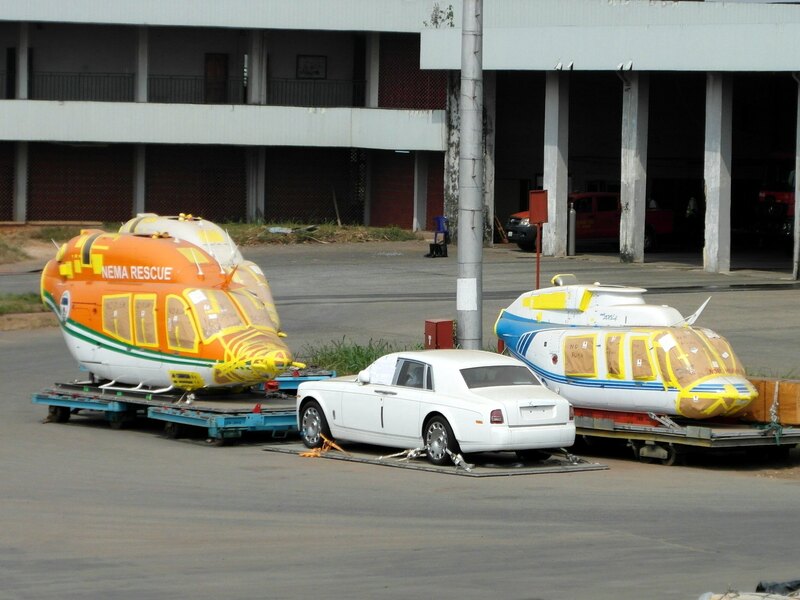 Three new helicopters arrived at Lagos Airport this week. 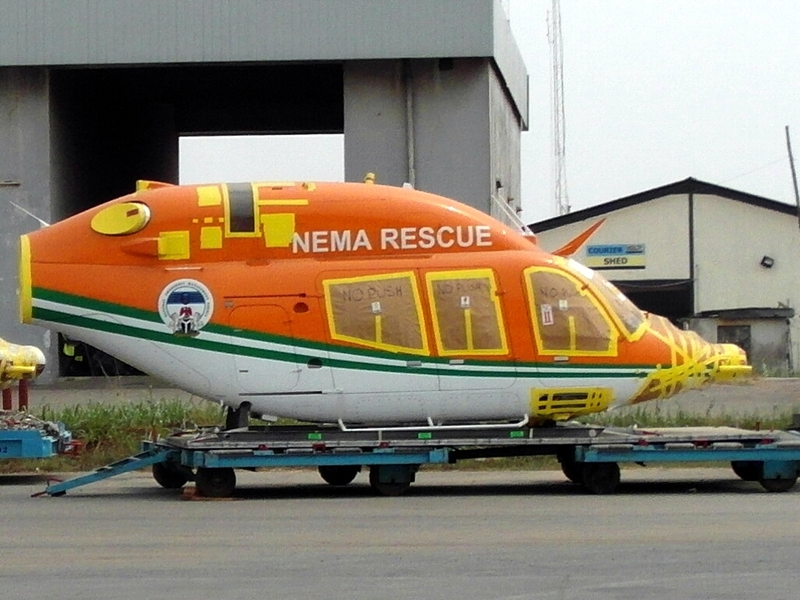 A Bell 429 EMS (5N-NEM) for the National Emergency Management Agency (NEMA), as well as a Bell 206L-4 (5N-BZC) for the Nigerian College of Aviation Technology (NCAT), Zaria, where she will join her sistership 5N-BZB. 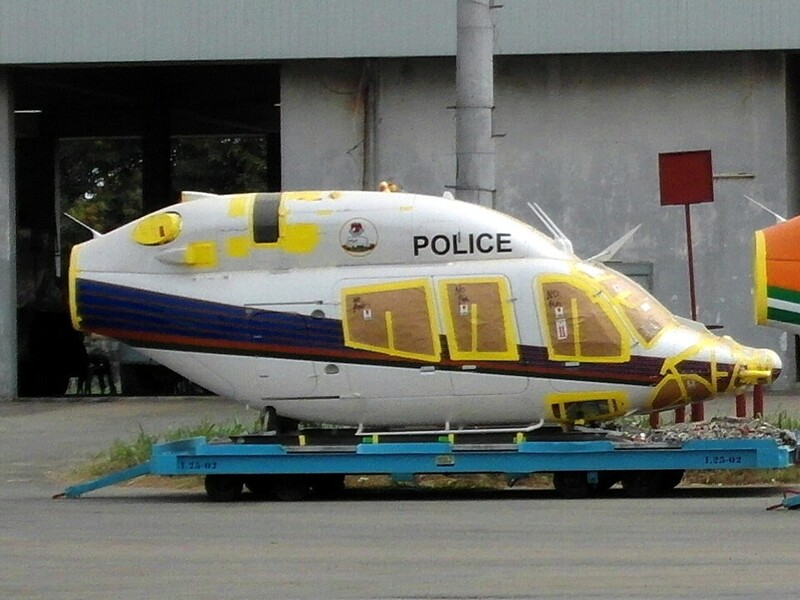 The third, hidden chopper, a Bell 429 (5N-MDA), is the first of five helicopters of this type for the Police Air Wing. Dana Air has sent its employees on compulsory leave, since the airline’s intentions to resume services have met with political resistance. Med-View Airlines currently wet-leases a B737-800 (CS-TQU) from EuroAtlantic Airways. A second A319 (5N-FNE; ex-EI-DVU) has been painted in FirstNation Airways’ colours. The airline aims to resume commercial operations next year. Overland Airways has resumed its daily Abuja-Asaba service. Four suspects were arrested near Enugu Airport, with two boxes of fireworks in their car. The Aviation Investigation Bureau will soon get its own accident investigation laboratory in Abuja at a cost of US$5.5 million. Aero has been awarded a Best Domestic Airline of the year 2012 prize. The FG is planning to impose stricter rules on the operation of private, corporate and charter aircraft in Nigeria. Niger State has allocated N80 million for the training of ten pilots by NCAT at Zaria and Minna. For more information about the Nigerian College of Aviation Technology, Kaduna: http://www.ncat.gov.ng. A Tampico TB-9 training aircraft belonging to NCAT made an emergency landing at a Katoge village, about 20 kilometres away from Kano. Three occupants of escaped unhurt and the aircraft was not badly damaged. The aircraft was to land in Zaria but could not do so due to heavy downpour in the late afternoon. It therefore diverted to Kano Airport, but developed technical problems and was forced to make an emergency landing. Here is a short update on the status of the Nigerian College of Aviation Technology, Zaria. The new College of Aviation, Ilorin, will open its doors in July, 2010.